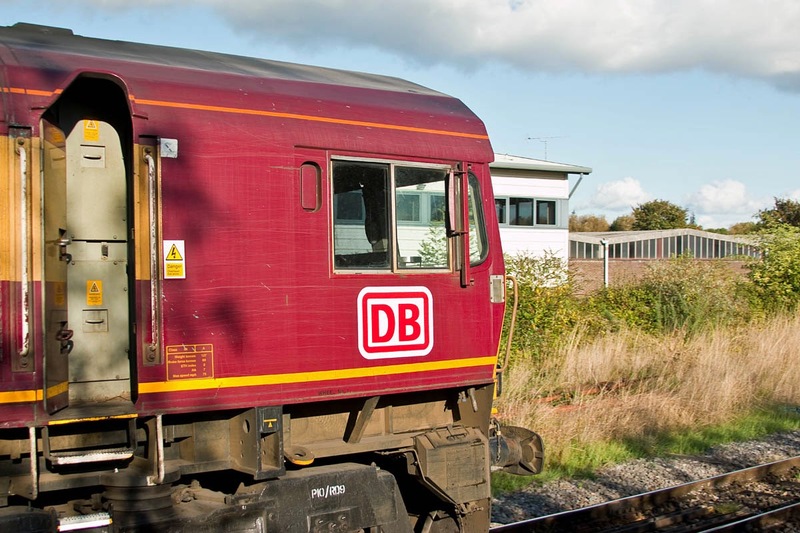 66188 is one of an increasing number of DBS Class 66's where "EWS" markings have been removed and replaced with the DB logo. 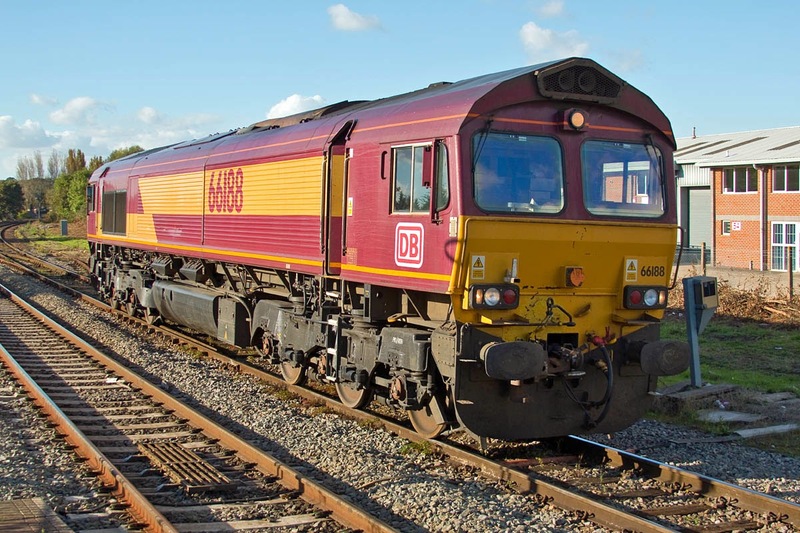 66188 was working as the 11:06 Margam to Eastleigh, to send power for CE workings, after dropping off 66037 + 66194 at Westbury. .... and DB sticker applied. 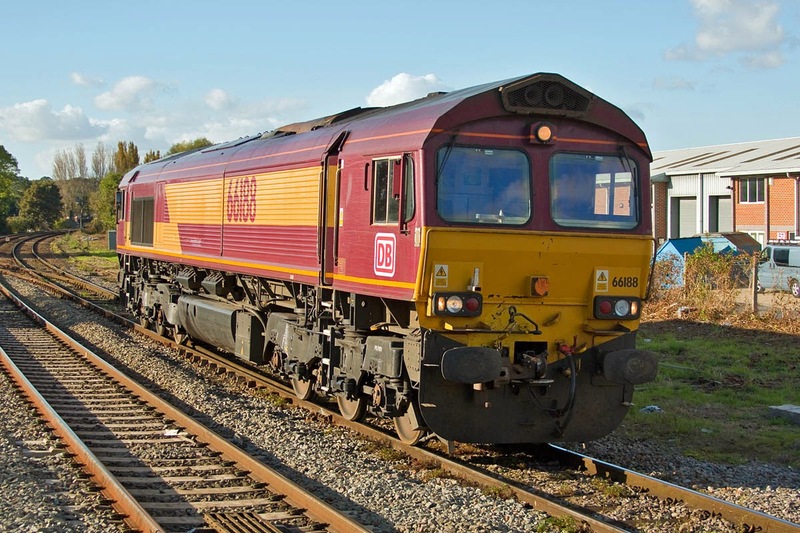 These changes were first reported on "EWS" painted locos in early August, and was applied to 66188 by August 26th.